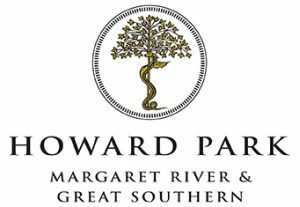 Howard Park Wines is Western Australia’s largest boutique family-owned winery producing a range of handcrafted fine Australian wines from the state’s premier grape growing regions of Margaret River and the Great Southern. Since its inception in 1986, Howard Park’s philosophy has been to craft outstanding boutique Australian wines of great subtlety, character, balance and elegance with an uncompromising commitment to quality. In 2009, Howard Park was asked to join Australia's First Families of Wine (AFFW), a collective of twelve multi-generational family-owned wine producers. Together representing seventeen wine-growing regions across Australia and forty-eight generations of winemakers. The inaugral 12 member alliance includes Brown Brothers, Campbells, Taylors, DeBortoli, McWilliam's, Tahbilk, Tyrell's, Yalumba, D'Arenberg, Jim Barry, Howard Park, and Henschke. Howard Park Wines is the only representative from Western Australia to be included in the AFFW.